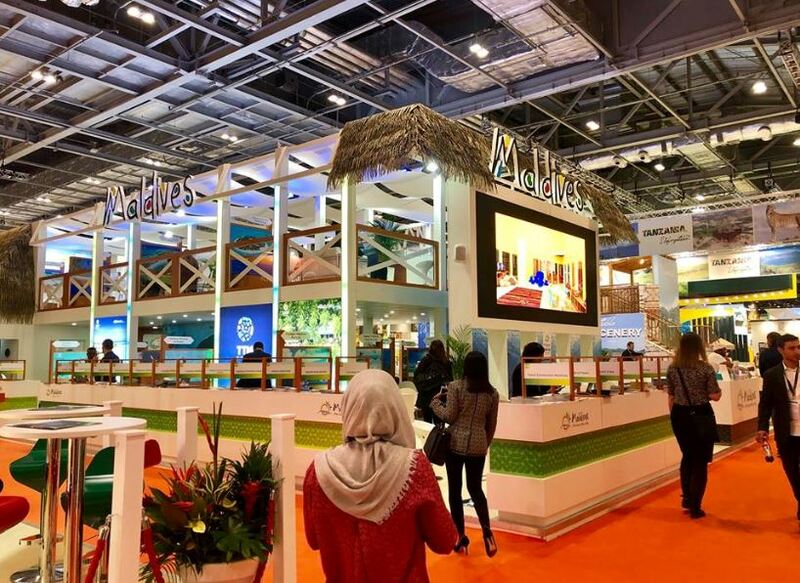 Maldives is currently exhibiting at the World Travel Market (WTM) held in London, United Kingdom from 5th – 7th November 2018. This year, 169 delegates from 65 companies from across the Maldives tourism sector including Resorts, Hotels, Guest Houses, Travel Agencies, Associations and Airline Operators are representing Maldives at the fair. The Maldivian contingent is led by H.E. Ahmed Shiaan, Ambassador of Maldives to UK, Belgium & EU. The main activities at the Maldives stand include business meetings for industry professionals to conduct business deals. This is a significant platform to create personal and business opportunities, providing customers with quality contacts and content. Moreover, to gain coverage, press distribution will be conducted providing information about the big events and success stories of Maldives. Visitors can experience Maldives in virtual reality while a lucky winner gets to visit and witness the wonders of the country first hand. The holiday package for the winner is sponsored by one of the co-Exhibitors of Maldives, MO Hotels & Resorts. WTM, now in its 38th year, is one of the leading global events for the travel industry. The Maldives has participated in the event since 1984, making this the 34th time. The event brings together almost 5000 exhibiting destinations and technology and private sector companies to network with 51,000 travel professionals, key industry buyers, journalists & digital influencers. WTM offers the opportunity to discover the world under one roof and discover trends, issues and innovations in the travel industry. The event also notably hosts over 100 idea-generating sessions, amassing ideas with the input of 350 senior industry experts.